Hey guys, finally back again after a long week without any spam for review. Hope you having a good week. 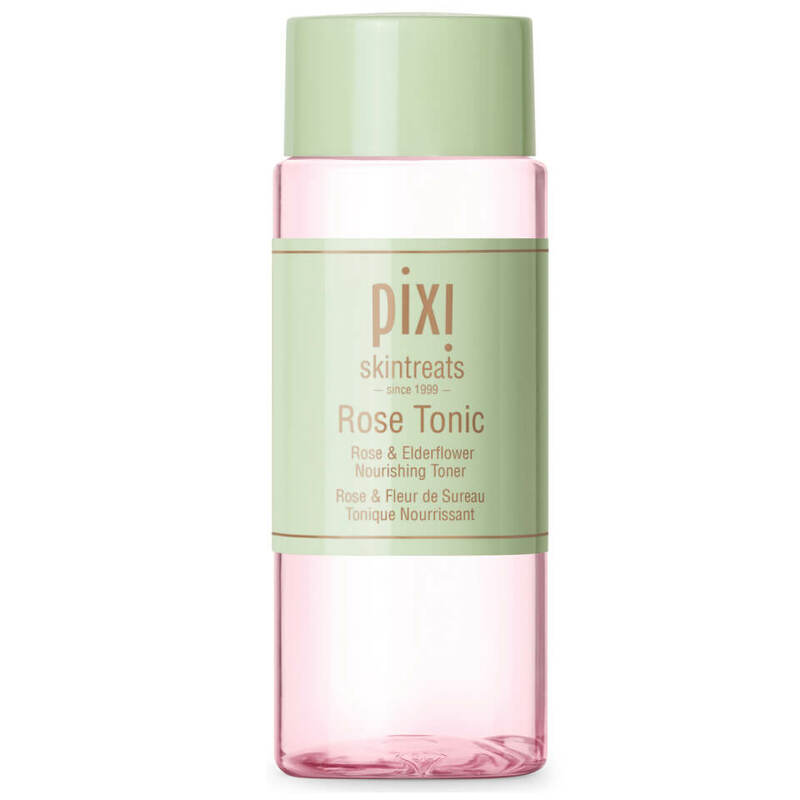 Today I going to talk my only one product that I really did want to try and lucky me LOOK FANTASTIC SINGAPORE sending me a box of beauty product and inside the box contained a mini size PIXI rose tonic. I use it right away alongside with the glow tonic. How to use the ROSE TONIC? The rose tonic can be used alongside with glow tonic. Use glow tonic after cleansing then uses rose tonic after that. At the end of all your skincare, you can use rose oil from PIXI beauty as well. Apply enough amount to your beauty cotton and use it in your skin. The rose tonic does give my skin refresh feeling and also supply my skin with enough moisturizer to start all my next skincare. The things that I find is I think this is not the same with COQ-10 that also giving the hydration that your skin but moisturizer toner that similar to essence toner from Pyun Kang Yul. The tonic will naturally soothing and rich in nutrients, this tonic helps to tone, balance pH, minimize redness and calm skin. Rehydrates, replenishes and refreshes. Formulated on a Rose Hydrosol base, the toner glides effortlessly over skin to restore moisture and tone while balancing skin’s pH. Its calming benefits help minimize redness, and its gentle cleansing properties eliminate last traces of makeup and impurities. Skin is left feeling fresh and revitalized. Made from a clear plastic bottle glass. The bottle is same with glow tonic. The rose tonic carries pink rose color, when I pour it into my cotton, the tonic doesn’t give the strong smell. Packaging: 3 out of 5 – I prefer the label in pink color and the bottle cap in pink as it is a rose tonic, with a hint of gold to attract more customers to buy. How is the result? is there any difference? My skin is very dry, sensitive and prone to acne. I was really looking out to use the rose tonic since this is the only tonic that gonna give me no problem while still delivering what I need the most for my skin, instant moisturizer. The product is sponsored by Look Fantastic Singapore. Article is no way under influence with the brands.